I’ve mentioned before that I’m a self confessed bookworm; I always tend to have several books on the go and I love reading – I can get through a book a day if time permits me to(which it doesn’t as a busy working mum). I came across Rose Alexander on Twitter on day and was recommended her book called ‘Under an Amber Sky’; it looked totally up my street so I downloaded the book(I love my Kindle and love how I can read books across all my devices and on my phone). 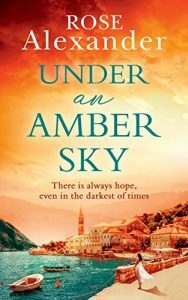 Under an Amber Sky tells the story of Sophie, who moves to Montenegro on a whim after a personal tragedy. She takes on a crumbling house by the sea and we follow her story as she attempts to rebuild her life as well as her near-derelict house. 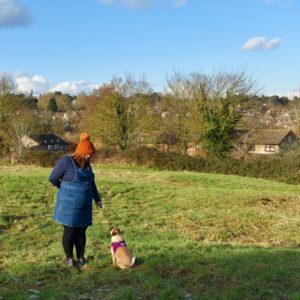 I’m a huge fan of books in this genre – historical, romantic sagas are my favourite and I love being able to escape my reality and totally immerse myself in the landscape and characters. 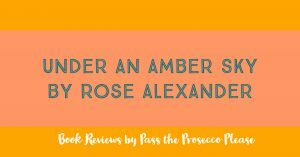 Rose writes with a beautiful ease – the descriptions of the surroundings and characters are simple yet fabulous; there are no over complicated phrases and even through the book features some local language it’s easy to read and follow. Some books in this genre are difficult to pick up and put down; complex story lines and a multitude of characters can make it really difficult to remember where you were and get back into the story – this was not the case with this book at all. I found myself wanting to know what happened next and unable to predict most of the plot twists and turns; it’s not a difficult story to follow but there is enough of a plot to keep you going and the main character is so likeable this keeps you interested. I loved this story and would recommend it but I did find a few negatives – my main one being that I felt that Sophie was a heroine waiting to be rescued by a knight in shining armour. I really wanted her to find an inner strength and know that she could carry on by herself and not need to be ‘looked after’. There are letters in the book relating to the past and wartime troubles; I felt this could have been more heavily featured and investigated more; there were no plot holes and I finished the book satisfied but this portion felt rushed and a little underwhelming to me. I also really disliked Anna, Sophie’t best friend and I’m not sure why – I felt there could have been more depth to her character and she was kind of unnecessary to the story. 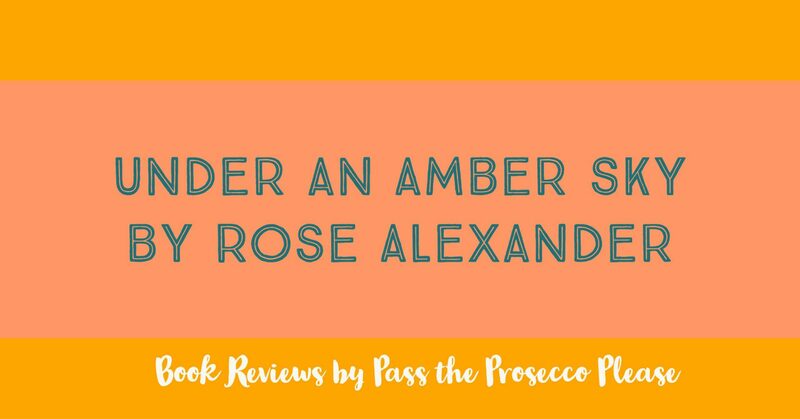 I really liked this book; I’m not sure if it’s one I could read again and again but it’s a beautiful little read and I’m keen to read Rose’s other books – you can find this book on Amazon here.